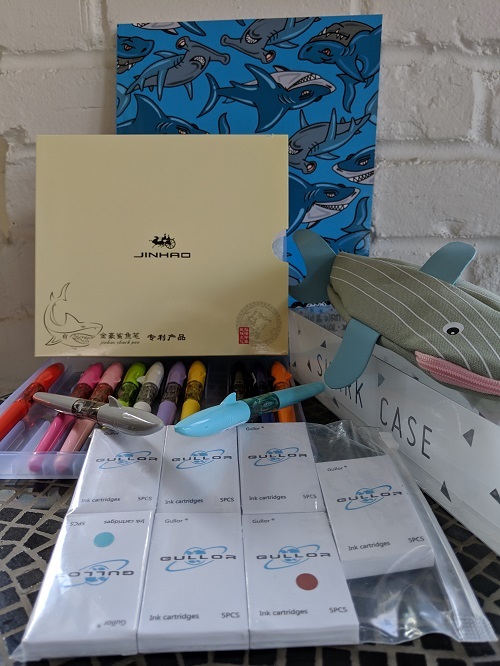 Take a bite our of your creative projects with this Writer Shark raffle item. A set of twelve shark capped fountain pens, multi color ink cartridges (coordinate! or don’t! 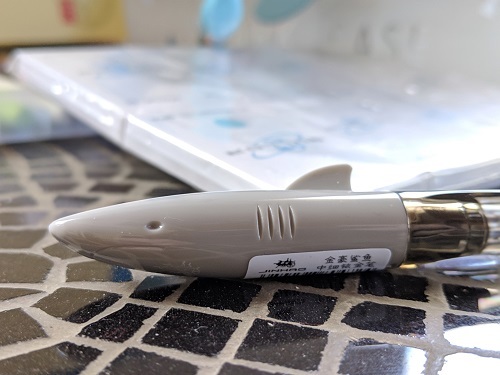 ), a journal, and a shark pen pencil case to carry around your frenzy of writing buddies.